The vast majority of people can’t afford their dream car. However, there is a huge market for aftermarket parts that improve the car you do have. Whether you want increased comfort, better handling, more power, or just better looks, there are loads of parts to choose from. Below are just a few you might want to consider if you want your car to have that little bit extra. Unless you live somewhere with lots of long straight roads you’ll probably need to go around corners. Upgrading the stock suspension in your car can greatly improve the handling. Aftermarket springs and shocks can transform the way your car handles. A stiffer and more race-orientated setup will reduce the amount of body roll in corners. This stops a lot of the weight-transfer as you turn in, which allows you to carry more speed while still remaining stable. Most stock air filters are insufficient for optimum performance. Switching to a bigger intake will help your engine to breathe properly. Not enough airflow can be a major hindrance to extra horsepower, which is why most performance replacements will do away with the air filter and box, instead just leaving the intake exposed in your engine bay. Your cars grip is largely dictated by your choice of tire. While full-racing slicks would be great, they are expensive and illegal on the public highway. 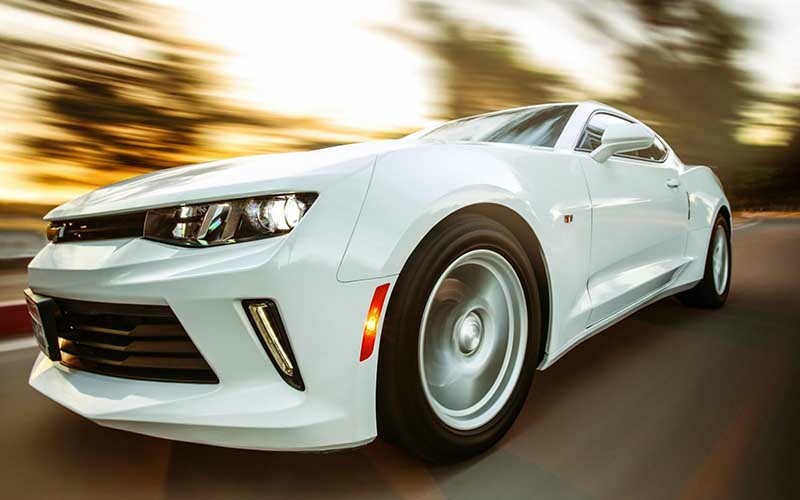 However, spending a bit of time researching the best quality tire for your vehicle could give you bigger gains than three or four small engine improvements. Normally the bigger manufacturers produce the best rubber, companies like Continental, Michelin, and Hankook tyre are likely to make better quality rubber than the bargain basement retreads from your local store. Buy the best you can afford and you will benefit. Custom engine maps for better efficiency or increased performance are growing increasingly popular. The technology in modern cars means it’s usually easy for the driver to perform the upgrade. Some manufacturers of these systems even provide different maps for various conditions that allow the driver to switch between them accordingly. Some performance upgrades will automatically require adjustments to your interior, such as an extra dial. However, adding some racing seats and harnesses can also help to create a better driving experience. The seats and harnesses generally give you a much more connected feel with the car. As your car becomes more capable, it’s equally important to ensure the brakes are up to the task too. Apart from the terrifying experience of being unable to stop quickly enough if your stock brakes aren’t up to the job, there is also a big advantage to being able to brake later and harder than other people if you’re on a track with corners. We’ve all seen some of the styling disasters on the Internet, from giant oversized rear wings to body kits that resemble an allergic reaction to a wasp sting. While your car should be a reflection of your own personal style, try to keep the changes subtle at first. It should be a gradual evolution rather than a ram-raid on your local parts store.